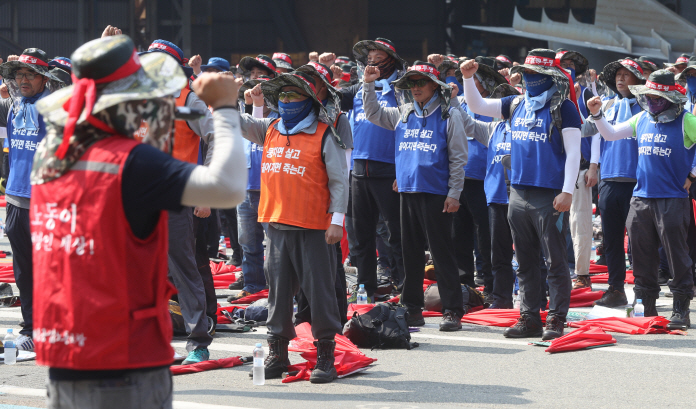 SEOUL, Oct. 17 (Korea Bizwire) — Unionized workers at Hyundai Heavy Industries Co. staged a partial strike Wednesday to protest a possible pay cut ahead a crucial decision by a labor relations commission, company and union officials said. The unionized workers downed their tools at a shipyard in the industrial city of Ulsan, about 410 kilometers southeast of Seoul, at 1 p.m. with a four-hour strike also planned for Thursday. 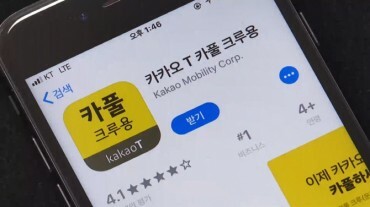 The latest move came a day before the labor relations commission in Ulsan decides whether to accept the company’s request that it pays 40 percent of average monthly wages to each employee working at the troubled offshore division who opts to take paid leave. Under South Korea’s labor law, a company is required to pay more than 70 percent of an average monthly income to its employees in case of troubles brought on by the company. 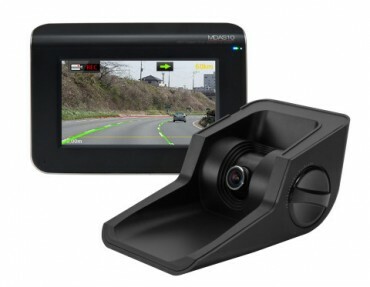 But the law gives a company leeway to pay less than 70 percent if approved by the commission. The commission — which is responsible for mediating and adjudicating labor disputes — is set to make its decision Thursday afternoon. The union said its 12,000-strong members are eligible to take part in the strike, though it was not immediately clear how many union members participated. Hyundai Heavy has 15,795 employees, and among them, 2,800 belong to the offshore division. The latest trouble follows a series of offshore projects Hyundai Heavy lost out to Chinese and Singaporean rivals in recent years due to higher costs. Labor costs at Chinese and Singaporean yards stand at only 32 percent and 15 percent, respectively, of Hyundai Heavy’s, according to the South Korean shipbuilder. 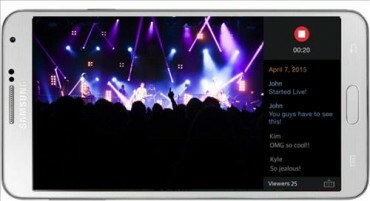 Global Social Video Service Using Korean Technology to Launch in U.S.